For my makeup routine, I typically stick to the basics: foundation, lipstick, eyeliner, and mascara. So, I'm always impressed when I meet people who have actual skill with makeup. 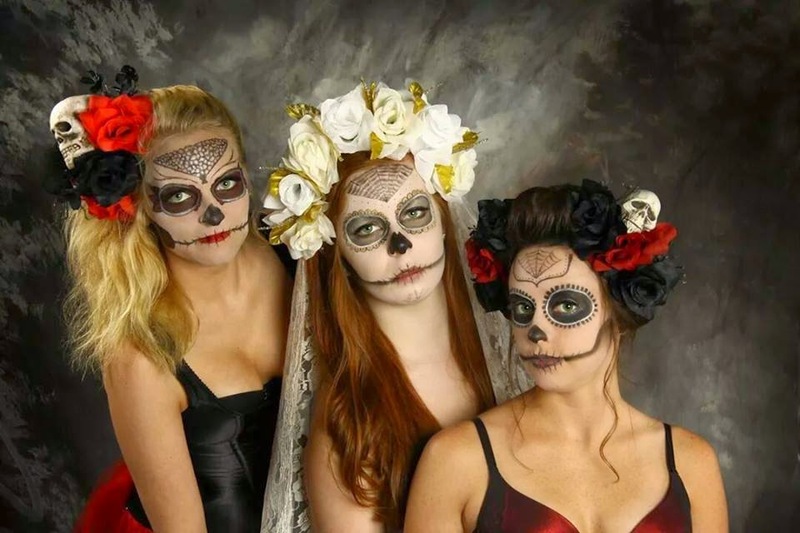 Through the wonders of Facebook, I met the talented Brittany Kellerman, a St. Louis-based freelance makeup artist who specializes in creating dramatic, whimsical looks. I'm so excited to share her work with you! Brittany always knew she wanted to be an artist, but wasn't sure which direction to take until she studied Cosmetology at Regency Beauty Institute. 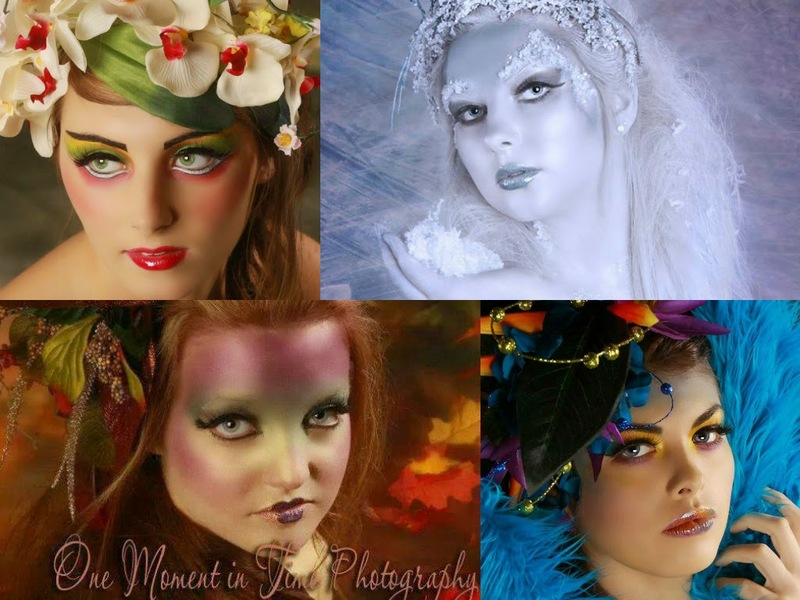 After creating an awesome "Mad Hatter-meets-Queen of Hearts" design for a school salon fair, this avid reader found her niche in Fantasy and Beauty makeup. She continued to excel at school, winning two of her school's salon fairs and receiving an honorable mention at Regency's America's Beauty Show Competition. She was also named Makeup Artist of the Week on the popular site Model Mahem. Although Brittany's personal style tends to be in the jeans-and-sweaters realm, she expresses herself through her makeup creations. She channeled her dark, mood side into pretty macabre looks, such as her Day of the Dead collection. Brittany's fun, carefree spirit is clearly conveyed in the model's makeup for a recent promotional shoot for ProPrintStudio. Brittany also draws inspiration for her designs from artwork, random ideas that pop into her mind, and trusted advice from her mother, a photographer. As an aspiring, independent artist, Brittany admits that she can be her own worst critic. "I am always second-guessing myself," she shares. However, she has learned that practice, reading makeup books, and taking coursework helps hone her craft. Her ultimate professional dream is to do makeup artistry for film, television, high-end magazines, and a major Fashion Week. "Never, ever give up!" she advises other emerging makeup artists. Brittany's talent is undeniable, so I hope she takes her own advice! This Seasons Shoot is Brittany's favorite work. The lovely Brittany Kellerman herself! For more gorgeous, colorful examples of Brittany's work, visit her web page here. 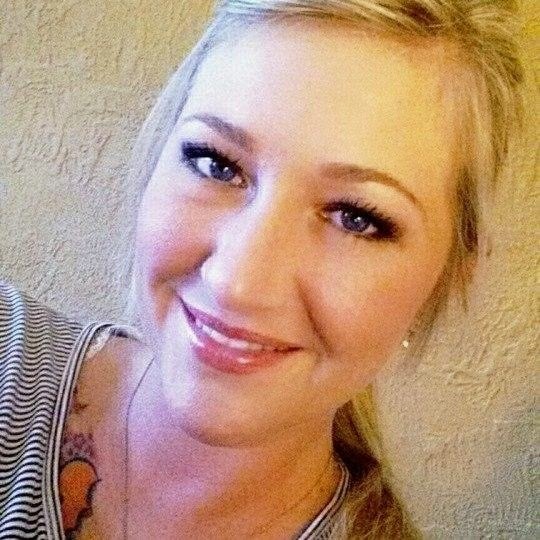 You can also connect with her on Facebook and Twitter!